Did you ever thought downloading YouTube video can be so easy that there is a Download button available on YouTube video watch page. Never!!! Did you think I am dreaming, no.. absolutely not. 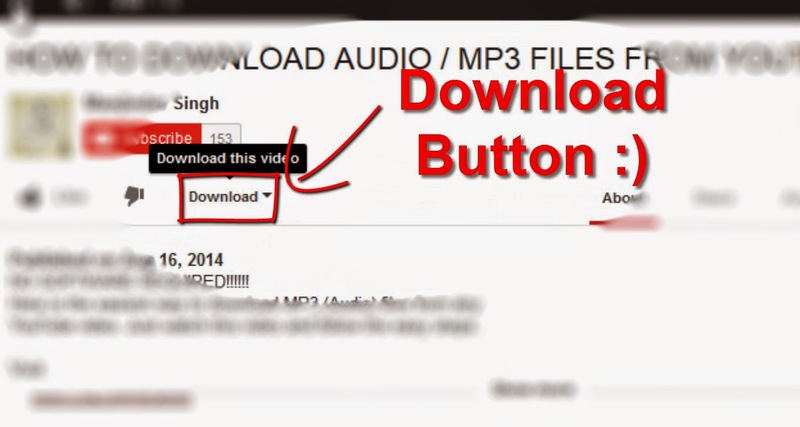 We know that YouTube will not add download button but this doesn't mean that it is not possible. I am not joking, this can be possible because of a Mozilla Firefox add-on. Just install Mozilla Firefox add-on available on http://goo.gl/TFiJ3v . Need a Cool Firefox extension ? Check out here for a lot of usefull things!